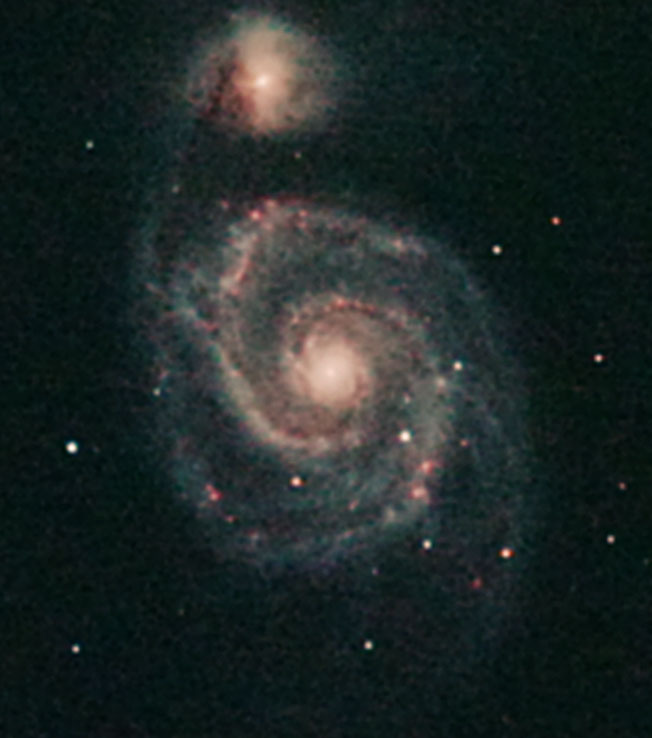 Move the mouse over the picture to show a comparison with the Hubble Telescope image. The main mirror in the Hubble telescope is 94 inches in diameter. This is nearly 16 times bigger than my 6" reflector. Consequently diffraction effects result in star images being 16 times smaller. Hubble operates in the vacuum of space, and doesn't have to contend with the light pollution present in the Midlands. My homemade mirror cost £60. Considering all that, I am quite pleased with this image!